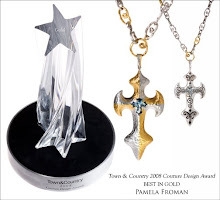 Pamela Froman wins 2013 AGTA Spectrum Award! 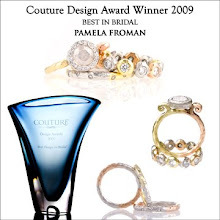 We're excited to announce that Pamela Froman has won the 2013 AGTA Spectrum Awards™ in the Bridal Wear Gem Diva category! 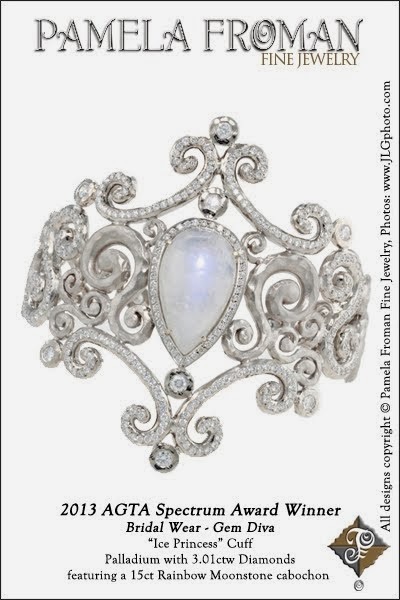 The winning entry is Pamela's lacy "Ice Princess" Cuff, made of Palladium set with 3.01ctw sparkling Diamonds, and featuring an adularescent 15ct Rainbow Moonstone cabochon. 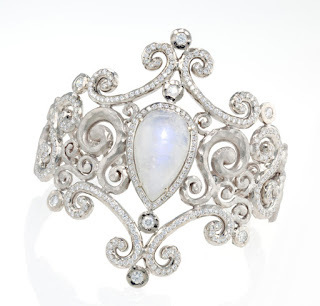 This stunning piece will make any woman feel like a princess, even if it's not her wedding day! The annual AGTA Spectrum Awards™ Media Day was held October 22 and featured hundreds of jewelry and gemstone submissions from designers around the country. 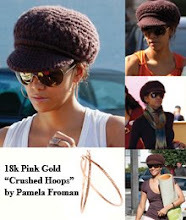 Attendees included top fashion/accessory editors from the trade and consumer press, stylists, and bloggers. 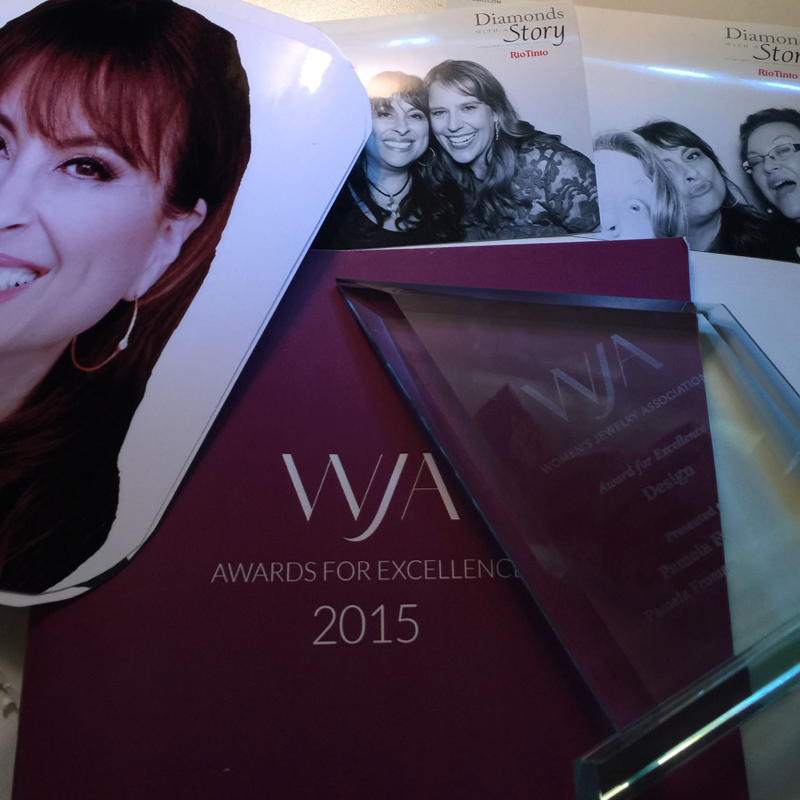 Publications represented included Vogue, W, Elle, Harper’s Bazaar, InStyle, Women’s Wear Daily, Marie Claire, Essence, NY Times Magazine, and many more. 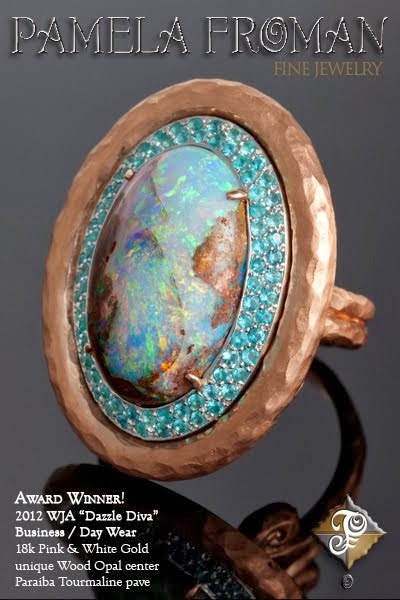 The AGTA Spectrum Awards™ is the most respected and prestigious design competition in the jewelry industry. 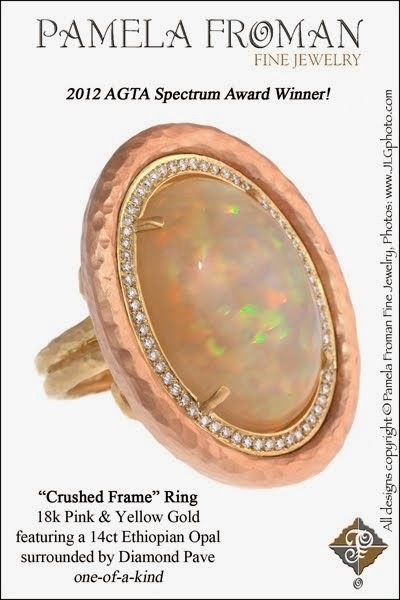 Launched in 1984, the AGTA Spectrum Awards™ honors, recognizes and promotes designers whose work utilizes natural colored gemstones. 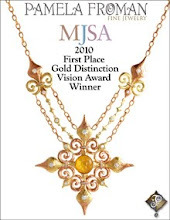 Gem Diva is a new category added to the 2013 Spectrum Awards; sponsored by the Women's Jewelry Association (WJA), one Gem Diva Award is given to a female designer in each of three categories: Bridal Wear, Evening Wear, and Business/Day Wear. 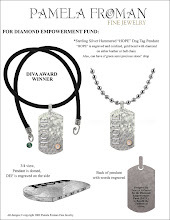 Pamela is thrilled to be one of the three recipients chosen out of hundreds for the 2013 awards. 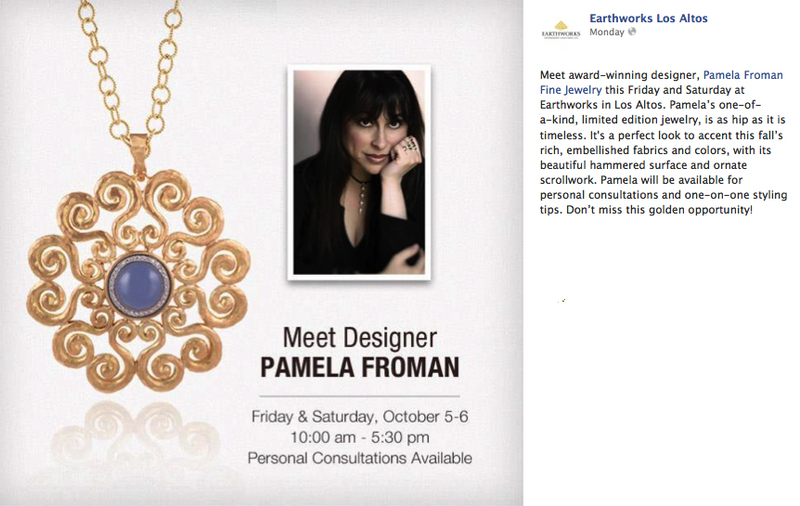 We are excited to have Earthworks Los Altos now representing the Pamela Froman Fine Jewelry Collection. We will debut our our pieces at their store this Friday and Saturday October 5th and 6th. 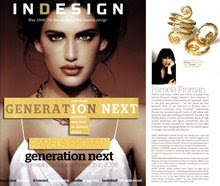 Please come by and meet Pamela and let her show you all her beautiful jewelry and work with you one on one.